Support staff vacancies appear here. Cleaning Operative vacancy. Grade 1 SPC 6 . Closing date 28-Feb-19 . Click here for details. Cleaning Operative Grade 1 tasks. Click here for details. 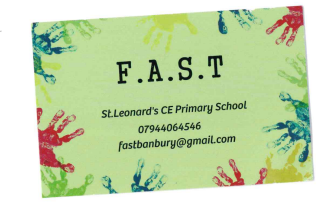 St Leonard’s C E Primary School is a Partner school in the Oxfordshire Teaching Schools Alliance (OTSA). Teaching Schools are part of the government’s drive to give schools more freedom and to enable headteachers to take increasing responsibility for managing the education system. The Oxfordshire Teaching Schools Alliance is a partnership of Oxfordshire schools, Oxfordshire County Council, The University of Oxford, The University of Reading, Oxford Brookes University and other significant educational organisations. Our vision is that by bringing together the strengths of all OTSA partners we have a unique opportunity to develop a sustainable culture of aspiration, collaboration and excellence leading to a world class education for all young people in Oxfordshire. The Oxfordshire Teaching Schools Alliance is working in the following key areas; Initial Teacher Training, Research and Development, School to School Support, CPD and Leadership Development, Succession Planning and Talent Management, Special Educational Needs and Disability, NQT Induction and Professional Learning Networks. Partner schools contribute to, or participate in, at least one of these areas. For more details click here to go to their website.